I’m so excited to be able to share the project I’ve been working on this January! 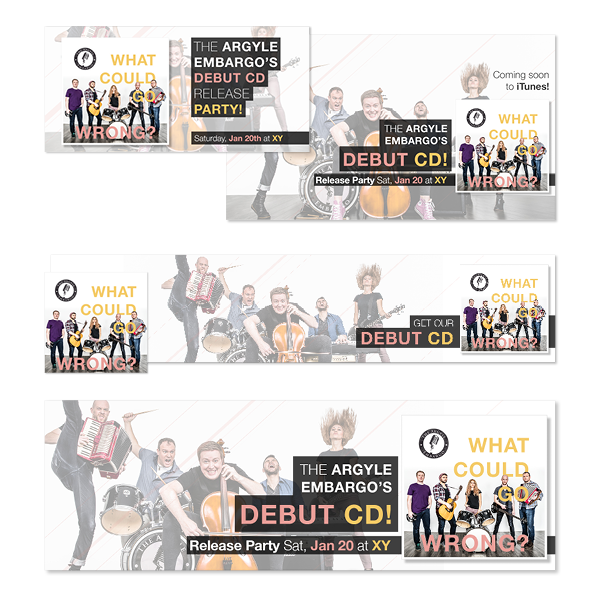 Local Vancouver band, The Argyle Embargo, released their first album last night, and took me on to do the CD and jacket design. 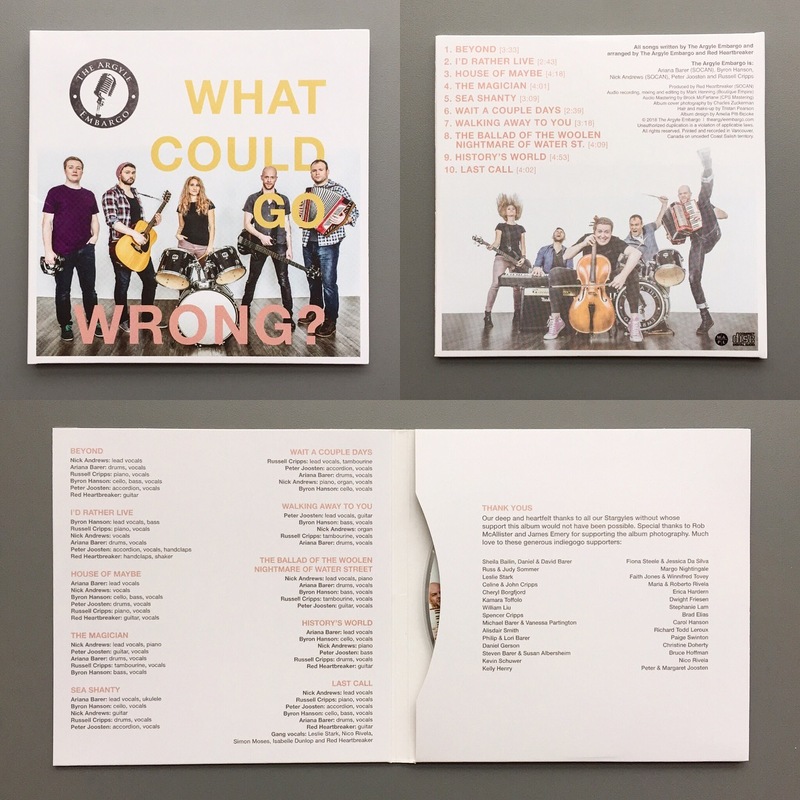 It was one of those lightning fast projects, where I had to collaborate with the band and the photographer to get everything done in time for the release, and we all pulled together to make something awesome. I’m so happy with the experience and the final product! 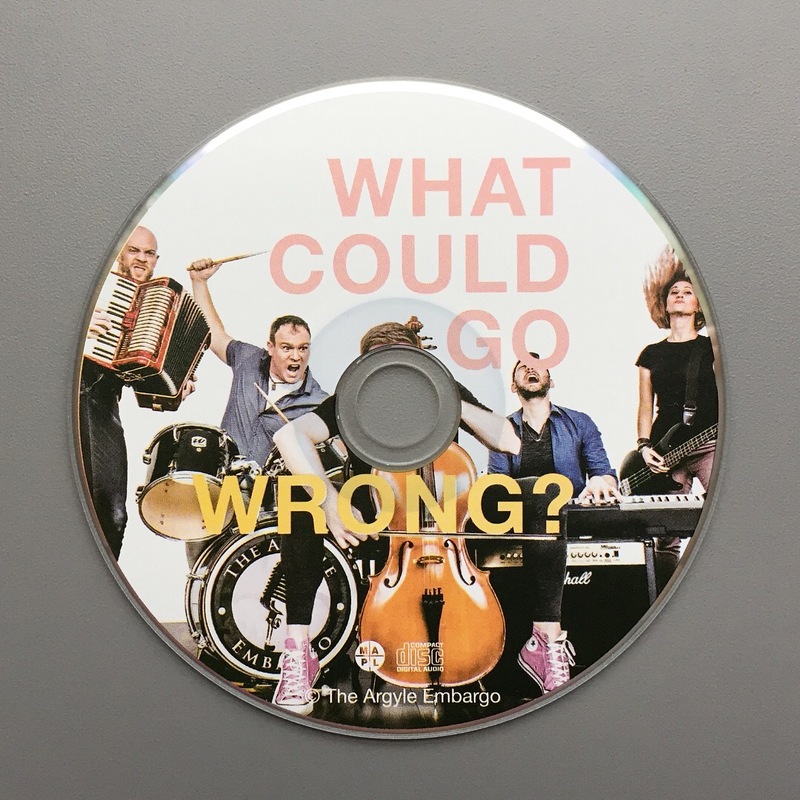 They also had me do a campaign of social media images to promote the album and the show. I love the challenge of translating a look and feel across different dimensions and platforms. Here are the ones I did for Facebook, Soundcloud, and Twitter. 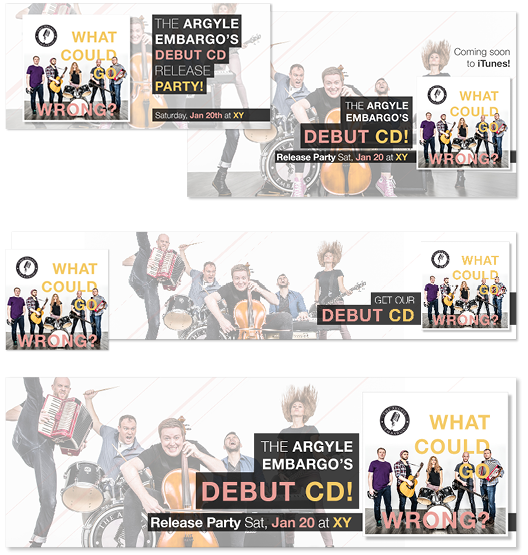 A huge congratulations to the Embargo on a packed show and a rocking first album! Looking forward to the next one!